Breaking the ground without breaking a sweat! 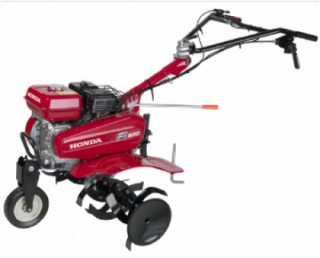 Meet the Honda innovative tiller (FJ500) that is ideal for cultivation purposes. Built with a GX160 engine and known for handling heavy-duty jobs, it is no surprise that this product is widely accepted. With a perfect balance, versatility and easy starting mechanism, the FJ500 should be on your list of “must-haves” equipment.